In every artist’s life, there are certain moments, sometimes small and sometimes big that stand out amongst the years and lifetime of work. 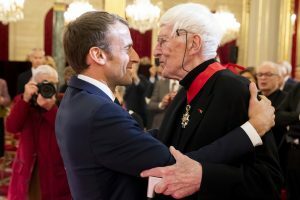 Today is one of those moments for Tomi as he is being promoted to Commandeur de la Légion d’honneur by the president of France and on behalf of its people. 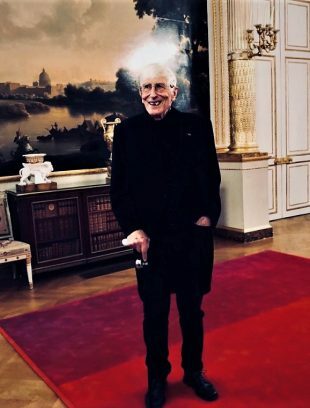 The promotion recognizes services to culture and art, placing him with the likes of Balzac, Charles Aznavour and Charlie Chaplin, who have all received this prestigious award. It is hard to capture everything that this means for a career that spans more than 70 years – full of the ups and downs of artistic life that all together amount to Tomi’s incredible body of work; all the drawings, posters, illustrations and stories come together for a proud and public moment of recognition. 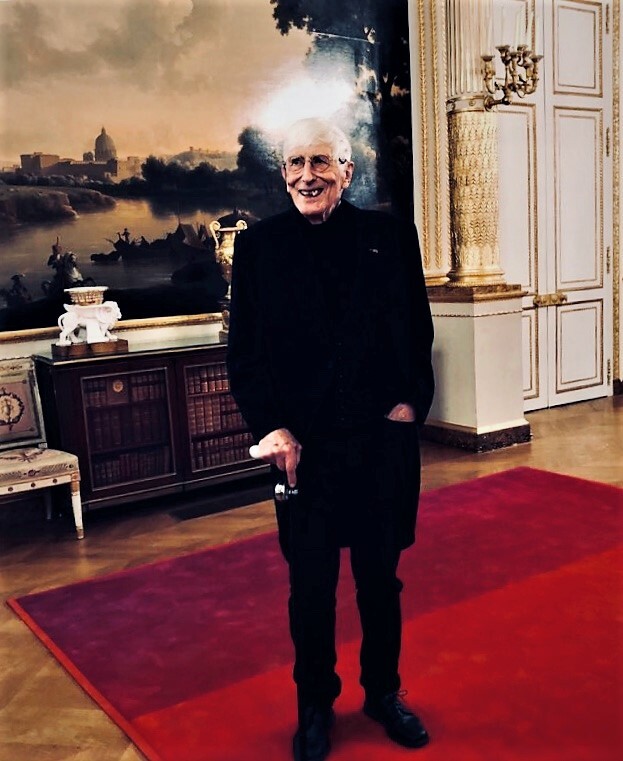 Most of all, beyond the work, this honour also recognises the reader and the many whose lives have been touched by the craft of Tomi Ungerer. It is a recognition of their relationship to the world; fictional or real, that has been portrayed by him and the personal journeys that each has gone on with him. Here for you all, is a look back into some of his work in French and German and what that has meant to two of his publishers. As a writer, artist, prankster, inventor or activist, however you see Tomi – this is a day for everyone to celebrate. And finally, here’s Tomi, on well, who else but Tomi. So from us all – friends, family, colleagues we raise our hats, our glasses, we offer you our congratulations, our thanks – bravo Tomi indeed!!! « Special edition posters for the 2019 NYC poster house museum commissioned.